Carol C. Schlitt is a Family and Consumer Science professional with more than 30 years of job experience working with food, food service and teaching food and nutrition. She is a certified ServSafe® Instructor with the National Restaurant Association and teaches custom food safety manager classes throughout Southern Illinois. In addition, she is an adjunct faculty with John A. Logan College in Carterville where she teaches Food Sanitation Manager Classes. Carol is past president of the National Extension Association of Family and Consumer Sciences (NEAFCS) and the Joint Council for Extension Professionals (JCEP). She is a member of the St. Louis Chapter of Les Dames d’Escoffier International and the immediate past-president of the St. Louis Culinary Society . Known for her entertaining and informative food demonstrations that feature real food made easy, Carol worked as a Nutrition and Wellness Educator for University of Illinois Extension for 25 years. For five years she was the assistant food service director for Mehlville School District in St. Louis and for one year she taught vocational food service at Beck Area Vocational School – two positions that gave her a strong background in quantity foods and food sanitation. After retiring from University of Illinois Extension in 2010, Carol formed her own company, “Safe & Savory Solutions, Inc.” to continue to provide high quality food safety, food preservation and food demonstrations in southern Illinois. 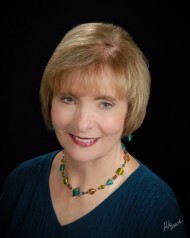 Carol earned her bachelor’s degree in home economics at the University of Illinois and her master’s degree in adult and counselor education at Southern Illinois University-Edwardsville. Carol and her husband of 40 years live in Freeburg, Illinois.